Compared to physical examination or patient history, electrocardiographic (ECG) screening is more accurate as far as screening for imminently fatal abnormalities in college athletes is concerned. There is preparticipation cardiac screening, which is an essential strategy used to reduce the risk of sudden cardiac death in college athletes. 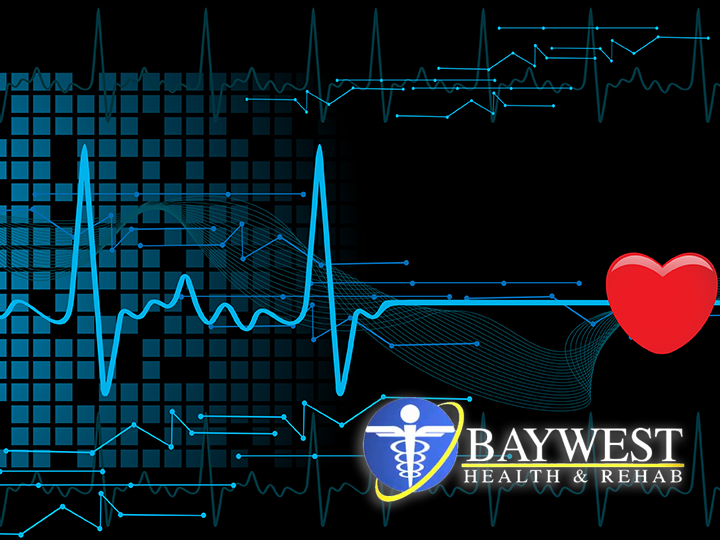 Electrocardiographic or ECG screening is effective when it comes to detecting cardiac abnormalities, which may be unnoticeable with less sophisticated screening techniques but can be cost prohibitive. As such, it is vital to know that electrocardiographic screening is more effective and accurate in detecting cardiac abnormalities among college athletes than a physical examination or a standardized history. Drezner, accompanied by colleagues, prospectively gathered data from thirty-five NCAA institutions over a 2-year period. The data was to help compare the accuracy of cardiovascular screening in collegiate athletes using ECG, physical exam, and a standardized history. The study engaged 5258 athletes from seventeen sports in Division 1, 2, or 3 and featured a twelve-question history questionnaire, a cardiovascular examination (visual inspection, blood pressure, pulse, and cardiac auscultation), and a twelve-lead electrocardiographic at rest using the Seattle criteria. The ECG results were read at the University of Washington by cardiologists, while the athletes university recorded history and cardiovascular examination. College athletes who had detected abnormalities underwent secondary evaluations conducted by cardiovascular specialists. The investigators worked out the number of cardiovascular diseases that are detectable then determined the ECG screening diagnostic performance compared to physical exam and patient history. Thirty-four percent of athletes reported at least a single positive cardiovascular symptom or family history response in the patient history questionnaire. This results in patient history with the highest false positive rate at 33.3-percent and lowest specificity/sensitivity at 67-percent and 15-percent respectively. On physical exam, 2-percent were diagnosed with heart murmur and 0.3-percent of athletes showed physical signs of Marfan’s Syndrome. Therefore, physical exam had 2-percent which was a low false positive rate and specificity was 98-percent, however, sensitivity was noted to be very low (only 8-percent). The cardiologist noted that 3.7-percent had ECG abnormalities. Of the 13 athletes (0.25-percent), ECG screening noted serious abnormalities linked with cardiac death. Of this number, only 2 had abnormal histories and one was diagnosed with an abnormal physical exam. Although the electrocardiographic screening had a slightly higher positive rate of 3-percent compared to physical exam, it’s still low considering that ECG had a 100-percent sensitivity and 97-percent specificity for abnormalities. The primary concern of sports medicine departments is to make sure athletes are safe. However, in real life situation, finances and budgets play a huge role in determining the type of screening and treatment an athlete is able to receive. Although this article didn’t talk of the sophisticated cost analysis universities must consider, it gives the objective data from the largest study of screening methods among collegiate athletes. Drezner and colleagues came to a conclusion that sports medicine departments (SMD) may not notice fatal cardiac abnormalities by simply using physical examination or patient history. ECG screening is very effective, as it detects imminently fatal cardiac abnormalities, which are always in less complicated screening techniques. Nevertheless, the authors were not in a position to report from this set of data how likely athletes diagnosed with cardiac abnormalities are to have a cardiac emergency or how frequent athletes diagnosed with normal electrocardiographic results have cardiac emergencies. The information in this study is handy to clinicians who can use it to guide clinical recommendations as well as to educate the public concerning the value of cardiac screening protocols in minimizing the risk of sudden cardiac death/other cardiac incidents. 1. What’s your level of confidence concerning the effectiveness of your preseason health screening in finding cardiac abnormalities? 2. According to your opinion, how can we get more athletes to complete preseason electrocardiographic protocols?